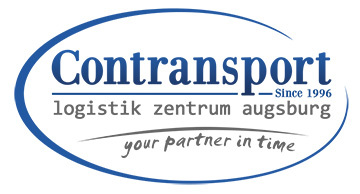 Contransport GmbH & Co. KG “Logistik Zentrum Augsburg” is a multinational company headquartered in Augsburg, Germany, responsible for logistics and national and international freight transport in the European Union. Our company is specialized in the transport of goods in Germany, Romania and Italy. For the transport on the route Germany-Romania-Germany as well as Italy-Romania we use modern logistics in our own warehouses and those of partner companies. Otherwise, we guarantee daily collection in Germany, Italy and Romania, logistics services for warehousing and packaging in our own warehouses, national transport, fast collective deliveries by departures from Monday to Friday from our warehouses as well as all-cargo services. Express courier service within 24-36 hours from receipt of goods, which is a real support for the automotive and electrical industries, where time is the essence. We offer a complete fulfillment service for online merchants in Germany, Italy and Romania as well as door-to-door parcel service between Germany – Romania / Italy – Romania and Romania – Europe. With a view to the future, we have been offering the fulfillment service since 2018. You trade your goods online and we take over the complete logistics, from processing the order to the end customer, with an online overview of the products in our warehouse. You sell or buy in Romania and we process and deliver this quantity to Germany, Italy and Europe. We are developing a door-to-door parcel service project in accordance with German quality standards, with the highest security and low costs as well as guaranteed shipping time through Germany – Romania and Romania – Europe via our warehouse in Augsburg, Germany. The company changes its articles of association and Contransport GmbH & Co. KG “Logistik Zentrum Augsburg”, which offers complete forwarding services between Germany and Romania as well as logistics services via its own warehouse in Augsburg. The expansion of the company takes place for active transport and forwarding services on an international level. The company’s service consists of freight transport from the European area to Romania and from Romania to the EU. Contransport carries out its activities as a transport company under German law with its registered office in Augsburg, Bavaria. The transport takes place with own vehicles in the German-speaking and European area. After more than 30 years of experience in the transport sector, the family business “Constantinoiu Transport” is founded in Câmpina, Romania. The company is active all over Romania in the field of national transport of goods.